Our 2016 Macmillan Coffee Morning last Wednesday was a huge success and we would like to say thank you to everyone who joined us on the 28th. All our dealerships across Weston-super-Mare, Taunton, Yeovil and Dorchester took part in the event and together raised a total of £876.70 which will be donated to Macmillan Cancer support. Our employees clubbed together and made tonnes of different cakes, which attracted lots of customers who purchased and donated money to Macmillan. Employees who didn’t bake also got involved by stuffing their faces with treats and donating, helping us raise a grand total of £876.70. Whether you got involved by visiting us, baking, donating or eating, we all did an excellent job together and helped raise money for this fantastic cause. A special thanks goes to those who helped at our end on both Group and individual Dealer level including Byron Carter, Louise Devine, Mollie Jarrett, Charlotte Chard, Jane Yeates, Ronnie Jones, Steffi Vaughan, Amy Clare, Tracey Churchill, Ed Ainsley, Sam Mitchell and Lauren Harvey, Sue Boote, Carla Kennedy, Tim Illingworth and Stuart Carter. It’s not too late to donate! If you were unable to attend a coffee morning but would like to make a contribution to Macmillan Cancer Support, you can make a donation here. Howards invites you to a Macmillan Coffee Morning on Wednesday the 28th of September in aid of Macmillan Cancer support. All Howards dealerships are taking part in the world's biggest coffee morning this year, so make sure you visit one of our local dealerships on the 28th to grab a slice of cake and donate money to this excellent cause. All our employees are getting involved by baking, eating cake and making donations. All we ask is for you to come and join us, try some tasty treats in exchange for a donation to Macmillan Cancer Support who help so many people across the UK. Last year our coffee morning was a huge success, see how much we raised! This is the 26th year of the event which first started back in 1990. It began at a local fundraising committee who decided to hold a coffee morning where people could buy cake, mingle and donate to charity. Since then, it’s been a huge success and become the world's biggest coffee morning. It has raised awareness about cancer and has helped give support to thousands of families who have been affected in some way by cancer. 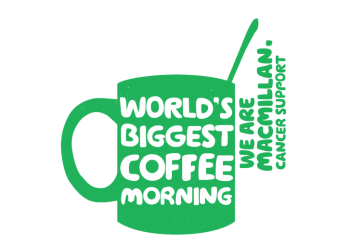 All our dealerships will be holding the coffee morning on the 28th of September. Please see coffee morning details below for each dealership.